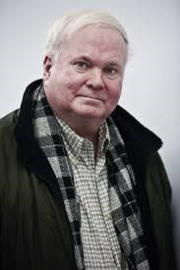 Pat Conroy has 2 media appearances. In this powerful and intimate memoir, the beloved bestselling author of "The Prince of Tides" and his father, the inspiration for "The Great Santini," find some common ground at long last. Pat Conroy's father, Donald Patrick Conroy, was a towering figure in his son's life. The Marine Corps fighter pilot was often brutal, cruel, and violent; as Pat says, "I hated my father long before I knew there was an English word for 'hate.'" As the oldest of seven children who were dragged from military base to military base across the South, Pat bore witness to the toll his father's behavior took on his siblings, and especially on his mother, Peg. She was Pat's lifeline to a better world--that of books and culture. But eventually, despite repeated confrontations with his father, Pat managed to claw his way toward a life he could have only imagined as a child. Pat's great success as a writer has always been intimately linked with the exploration of his family history. While the publication of "The Great Santini" brought Pat much acclaim, the rift it caused with his father brought even more attention. Their long-simmering conflict burst into the open, fracturing an already battered family. But as Pat tenderly chronicles here, even the oldest of wounds can heal. In the final years of Don Conroy's life, he and his son reached a rapprochement of sorts. Quite unexpectedly, the Santini who had freely doled out physical abuse to his wife and children refocused his ire on those who had turned on Pat over the years. He defended his son's honor. "The Death of Santini" is at once a heart-wrenching account of personal and family struggle and a poignant lesson in how the ties of blood can both strangle and offer succor. It is an act of reckoning, an exorcism of demons, but one whose ultimate conclusion is that love can soften even the meanest of men, lending significance to one of the most-often quoted lines from Pat's bestselling novel "The Prince of Tides" "In families there are no crimes beyond forgiveness." "Moonrise is a novel of dark secrets and second chances, the best novel yet from the New York Times' bestselling author of The Sunday Wife and The Same Sweet Girls." When Helen Honeycutt falls in love with a man who has recently lost his wife in a tragic accident, their sudden marriage creates a rift between her new husband and his circle of friends, who resent her intrusion into their circle. When the newlyweds join them for a summer at Moonrise, his late wife's family home in the beautiful Blue Ridge Mountains, it soon becomes clear that someone is trying to drive her away, in this writer's homage to Rebecca, by Daphne du Maurier. Pat Conroy is currently considered a "single author." If one or more works are by a distinct, homonymous authors, go ahead and split the author. Pat Conroy is composed of 3 names. You can examine and separate out names.